Jamisen’s second Halloween celebration kept with the animal theme (last year, he was a cow). Only, this time, it wasn’t an actual living animal. He went as a Cuteasarux Rex! 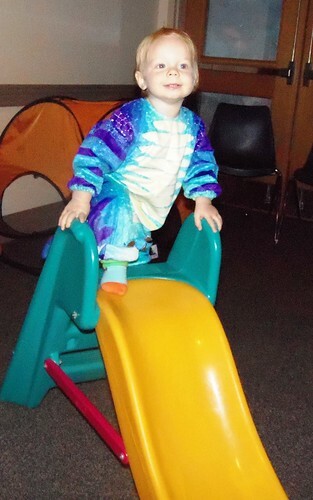 And, while I would never be one to be competitive, I’m pretty sure he was the cutest Cuteasaurus Rex at the Harvest Festival celebration we went to (with, or without, the headgear). It’s raining cats, dogs, and an occasional frog around here so we opted for an indoor party. 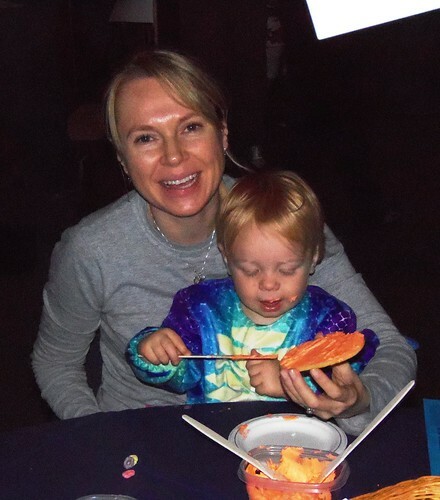 Plus, Jamisen has never eaten an actual bar of candy so we figured he didn’t care much about the actual trick’or’treating part of the night. This was the perfect place for him, complete with kids, slides, cookie decorating (oh yes, there were sugar cookies and orange frosting) and a bean bag toss (which, he cleverly won by walking up to the bucket and dropping the bean bag in. Obviously, he’s an out-of-the-box thinker). There was a Fruit Loop necklace station. 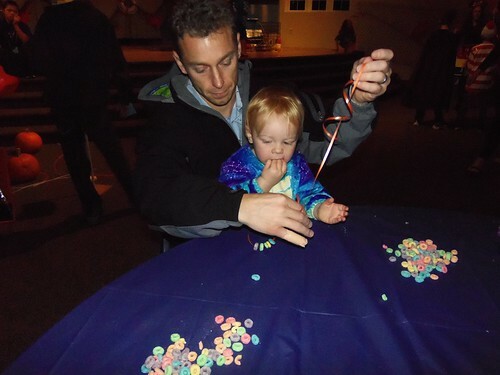 Jamisen was extremely delighted with the concept of Fruit Loops and spent most of the rest of the evening eating his necklace. 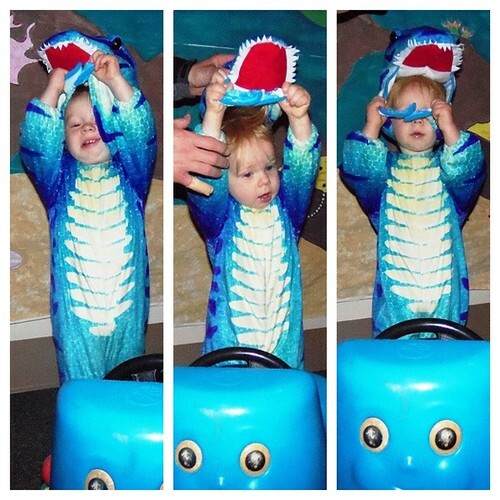 Unfortunately, he was not a fan of the awesome Cuteasaurus Rex headwear (clearly, this child would not last at a wedding in Britain) so we have this photo series to prove that the costume was a complete cute overload. I hope you had a fantastic Halloween or Harvest Festival tonight. To all of our friends on the East Coast, you’re in our thoughts and prayers. I can’t believe that! Where did the time go? 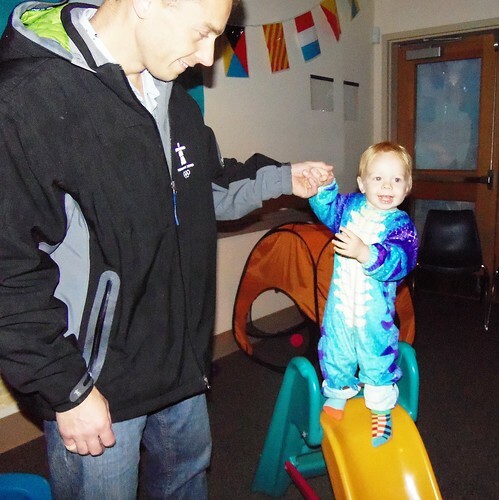 I thought he would just be sitting up or maybe crawling! What a lovely boy. Cuteosaurus, what a great name! Love the costume too and he is so cute. What an adorable little fella! So so precious Anne-Marie!